We offer our guided fly fishing trips to the best destinations in Tennessee and the southeast. Everything from crystal clear mountain springs to wide flowing tailwaters. Each river and stream has it's own character and style, and all are easily described as gorgeous. If you love great fly fishing, you've come to the right place. The southeast may not be as famous as the western US for trout fishing , but it's quickly gaining recognition and a reputation for great fly fishing and impressive tailwaters. A quick glance at the map to the right will show great tailwaters all over the east Tennessee River valley. Our fisheries are very convenient to Knoxville, Chattanooga and Nashville, and just a short drive from many of the southeast's largest cities like Atlanta Ga, Birmingham Al and Cincinnati Oh. 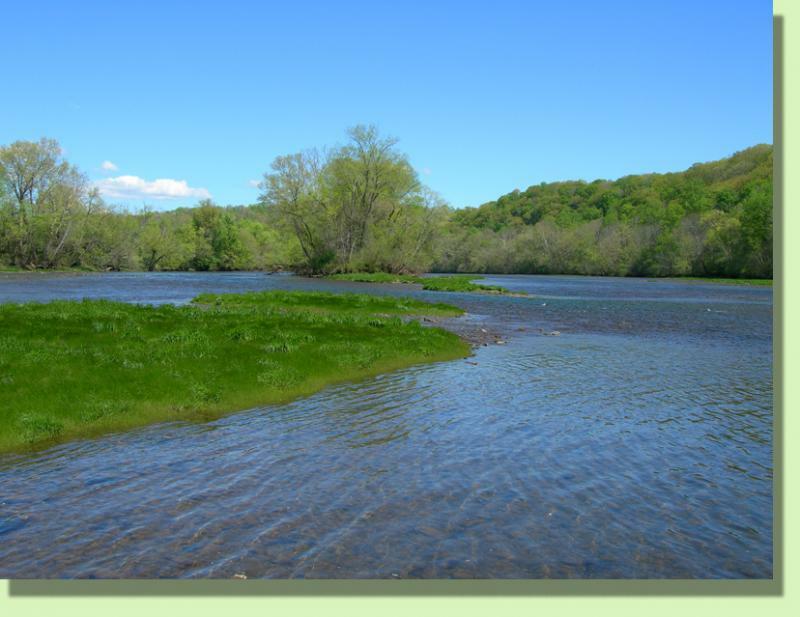 We've got a great river for you whether your vacationing in east Tennessee or live just a few miles down the road. 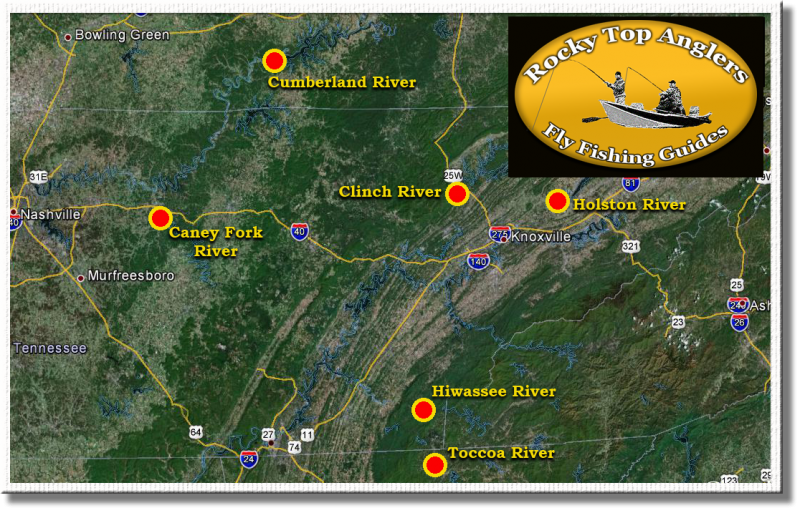 The fly fishing guides of Rocky Top Anglers have many years experience on these rivers. We've spent many hours fishing and guiding on these southern rivers. We're proud to show them off and think you'll be impressed. Learn more about these featured destinations. A western dry fly river here in Tennessee. A brown trout lovers dream. Great mix of nymph fishing, dry fly fishing, and water types. Technical fly fishing for big fish using light lines. A small tailwater with a private fishery feel. Come visit one of these blue ribbon trout rivers with Knoxville tennessee's premier fly fishing guide service and outfitter. 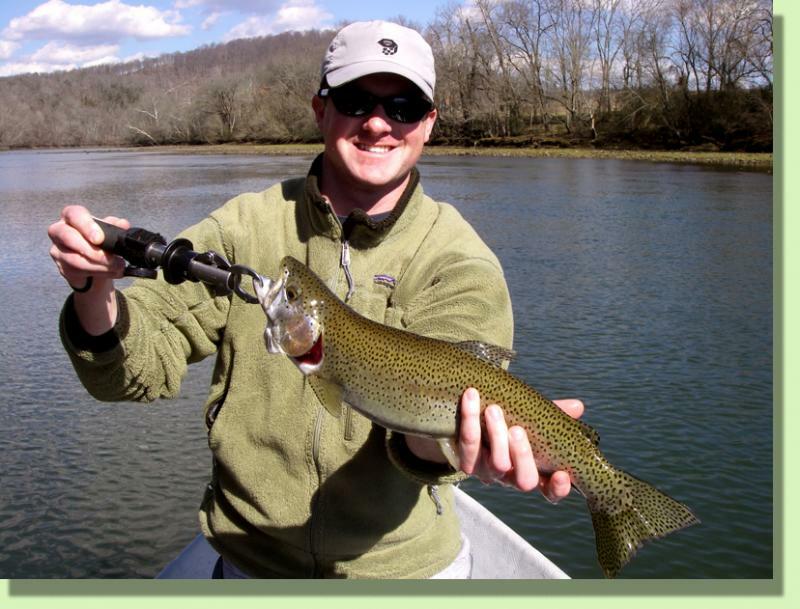 The Clinch River Guided Fly Fishing Trips provide some of the best fly fishing found in the eastern united states. 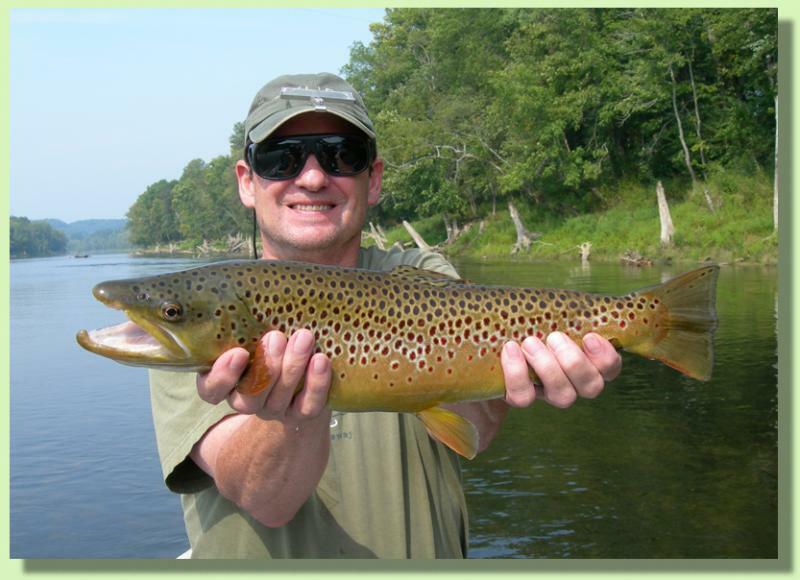 Our Holston River fly fishing guides know the river and always please our anglers. The Caney Fork River trout fishing guides grew up on the river and are well equiped to catch trophy trout. Guided Trout Trips around Knoxville Tennessee are a great way to experience a guided trophy trout fishing experience on one of our trophy tennessee tailwaters. Click bottom right corner for a larger map.